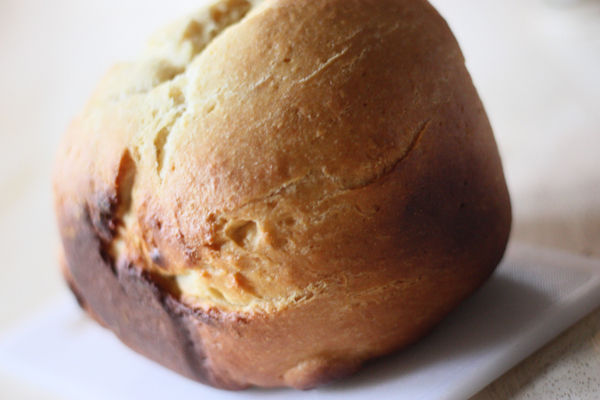 Many years ago, a friend of mine gave me this recipe for Sally Lunn bread, and I have always made it perfectly in my bread machine. Since being diagnosed, no Sally Lunn for us, which is so very, very sad because my hubby absolutely loves this. My old bread machine, so dependable and true had to be retired due to gluten contamination and I was bummed. There is just nothing like a crockpot of homemade veggie soup with this bread on this side when it’s cold outside – just…nothing. Recently, we purchased a new bread maker by Cuisinart and it’s just the bee’s knees! There is a setting for gluten free bread! Wow! Why does it need it’s own setting, you may ask – because gluten free bread dough has only 1 rise, not 2 so finding this was just a happy accident – a BIG GIANT happy accident! It’s bread! Yay! Many of you who have tried to make gf bread or have purchased some know what I mean: NERF. It’s Nerf bread, squishy, yes but you could break a window with that stuff. 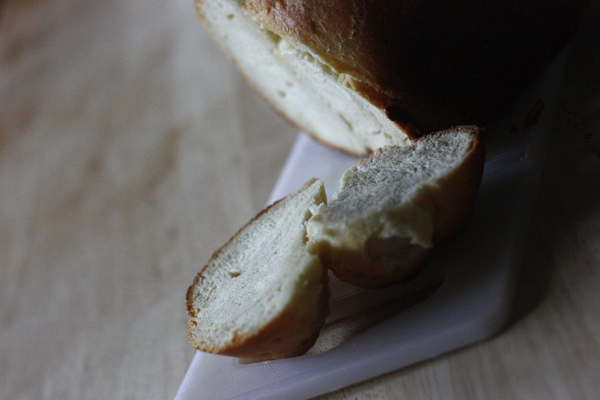 This is soft and the texture and taste is so good, my first loaf lasted less than an hour. Yes, you read that correctly: LESS than an hour (disclaimer: I have 6 to feed today) and since it only has 1 rise, the time was cut down by 2 whole hours as well. Nom nom nom…. Add ingredients to your bread maker IN THEORY OR DER ABOVE! Also - when doing the yeast, make a small hole or reservoir in the middle of the flour and put inside of it. Thank you for pointing that out. My link was wrong but I have updated it!